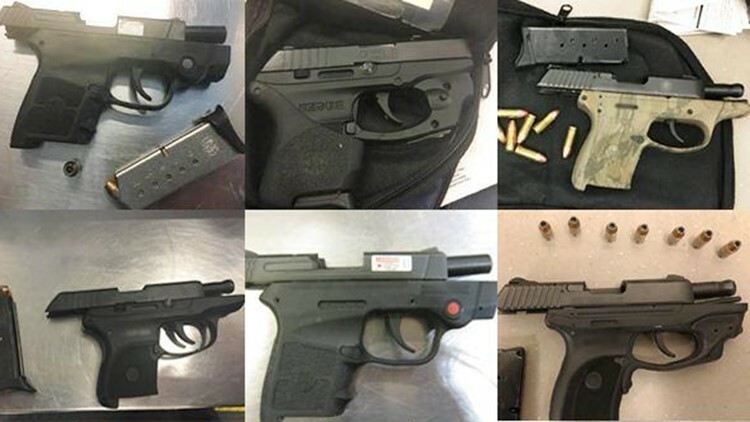 Handguns confiscated at TSA checkpoints in January 2019. Nearly 700 guns, several hand grenades and a pocket knife in a medicine bottle. Those are just some of the things the TSA has confiscated in the first two months of the year at airport security checkpoints. At least 687 firearms were caught by agents through March 3 of this year, according to a TSA blog. That's 11.1 per day. Of those, 490 were loaded and 216 -- 3.5 per day -- had a round chambered. The TSA says handguns must be unloaded and kept in checked baggage in a hard-sided container. The same thing goes for ammunition, magazines, clips and other firearms parts, but it seems people still don't get the message or ignore it. The 11.1 firearms each day is almost on pace with last year's record of 11.6 per day (4,239 firearms for the year). TSA can fine passengers up to $13,333 per violation. The TSA has also confiscated a handful of inert hand grenades or items made to look like grenades. 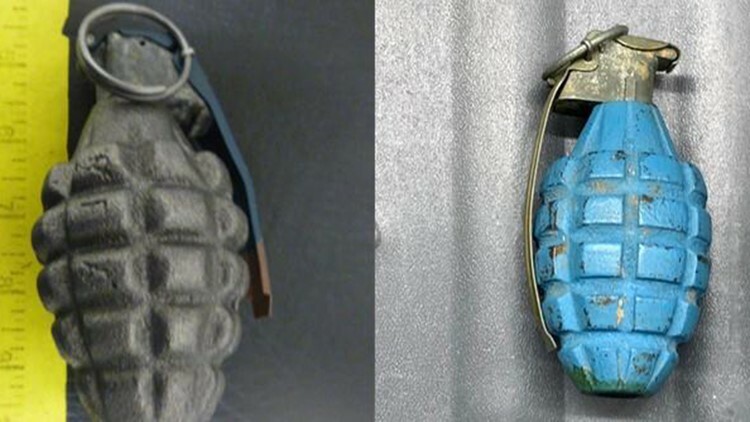 Two grenades confiscated at TSA checkpoints in February 2019. One passenger apparently thought they could sneak a pocket knife through by placing it in a medicine bottle in Columbus, Ohio. 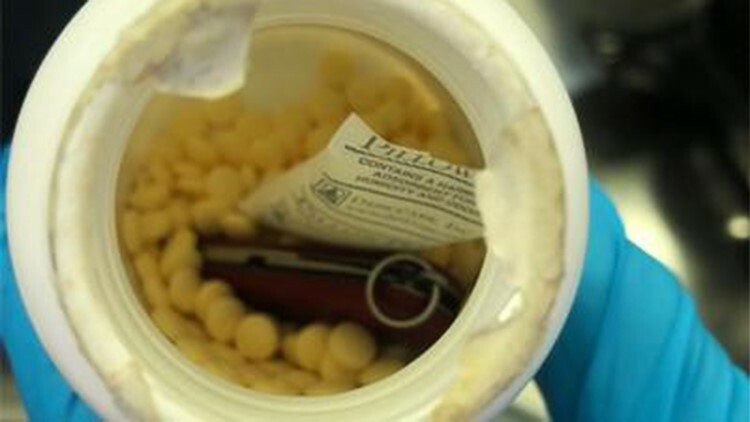 A pocket knife hidden in a medicine bottle was found at a TSA checkpoint in Columbus, Ohio, in February 2019. Some things you may consider to be safe for your carry-on may not be. The TSA confiscated a seat belt cutter -- also in Columbus -- that contains a small knife. That also needs to be in checked baggage. 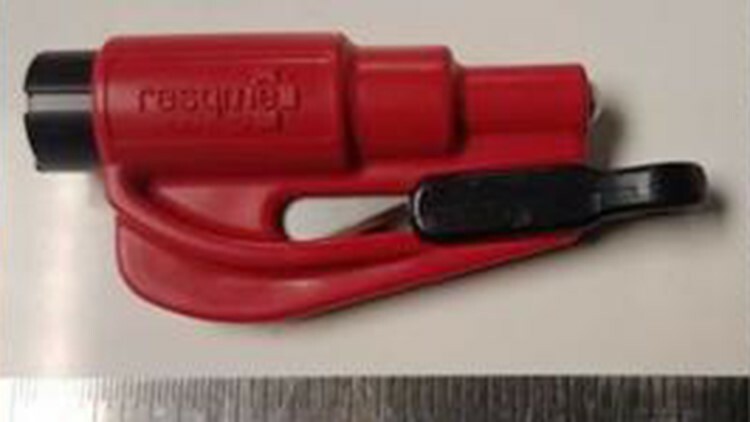 This seat belt cutter was confiscated at a TSA checkpoint in Columbus, Ohio, in February 2019.